Luštica is located at the entrance of the Boka Kotorska also known as the Bay of Kotor. It effectively separates Tivat Bay from the Adriatic. The peninsula has an area of 47 km² and is 13 km long. The highest point of the peninsula is Obosnik peak, at 582 m. It has 35 km of coast, which accounts for 12% of Montenegrin coastline. Lustica is divided between the Herceg Novi and Tivat Montenegrin municipalities. This area has an extremely rich cultural heritage embodied by twenty churches, out of which eighteen Orthodox and two Catholic ones. Once an isolated community, there are farms and smallholders producing their own cheese, prosciutto, wine and rakija from local ingredients. Luštica is largely undeveloped with populations of wild boar, mongoose, jackal and edible dormice. Nightingales and Scops-owls can also be heard in abundance. 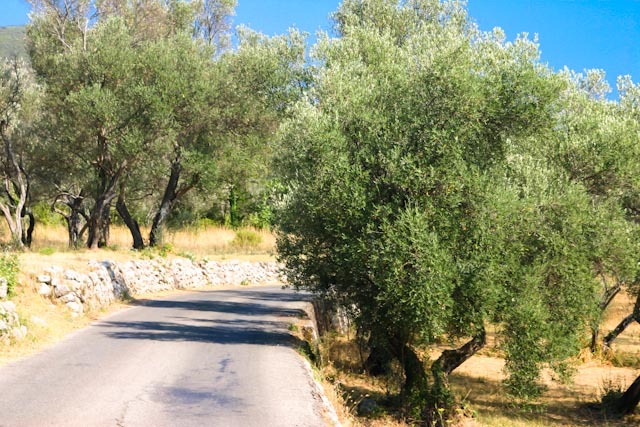 Olive groves are also plentiful although many are uncultivated and overgrown. The peninsula also has a significant military history with its position guarding the entrance to the Boka Kotorska and military ports at Tivat during the cold war (Yugoslav Navy) and Kotor during the Austro-Hungarian occupation (Austrian Navy). There are disused Austrian fortifications at Rose, Mamula, Arza and Montenegrin military installations at Rose (disused), Krašići and Obosnik. Two disused submarine hides are cut into the rock of the steep coast on Herceg Novi bay, and the Kumbor Strait. Since the closure of Tivat Naval Base a Kotor Class Frigate, previously of the Yugoslav Navy, has been moored at a facility directly below the village of Zabrđe in the Kumbor strait. 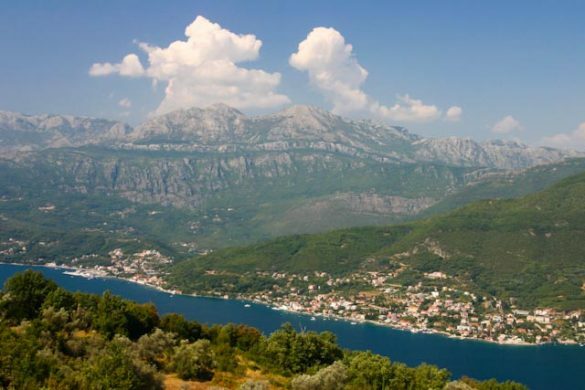 On the northeast side there are fine views over Tivat and Herceg Novi bays of the Boka Kotorska and on the southwest side; fine views over the entrance of the Boka to the Adriatic Sea and of the Prevlaka Peninsula. The Luštica peninsula is main excursion destination for tourists in Herceg Novi. It has the finest beaches and resorts in Herceg Novi municipality, including Žanjice, Mirište, Arza and Dobreč. A small population is resident all year round with a large number of people resident for the summer months only. Historically these summer visitors have come from parts of the former Yugoslavia, particularly Serbia. More recently, with the breakup of Yugoslavia and with Montenegro gaining independence, western Europeans and Russians have moved in, some permanently. 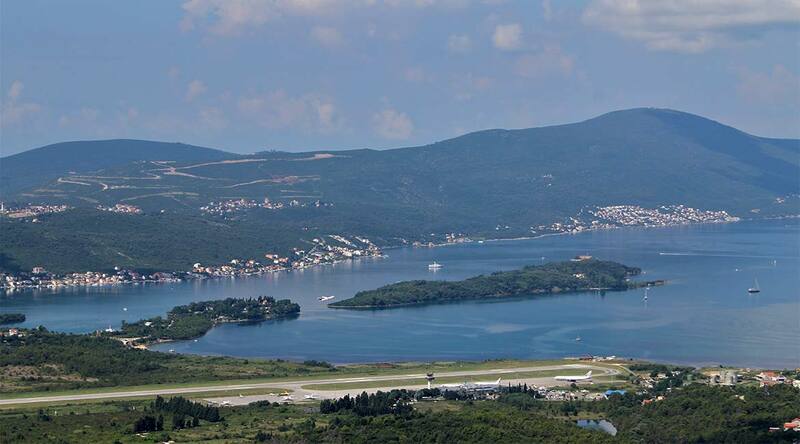 Close to Tivat Airport, the area is ripe for development and several large projects including golf courses have been mooted. However, to date there is still very little tourism development with the main building activity limited to that close to Zanjice beach. However the scale is still very small. 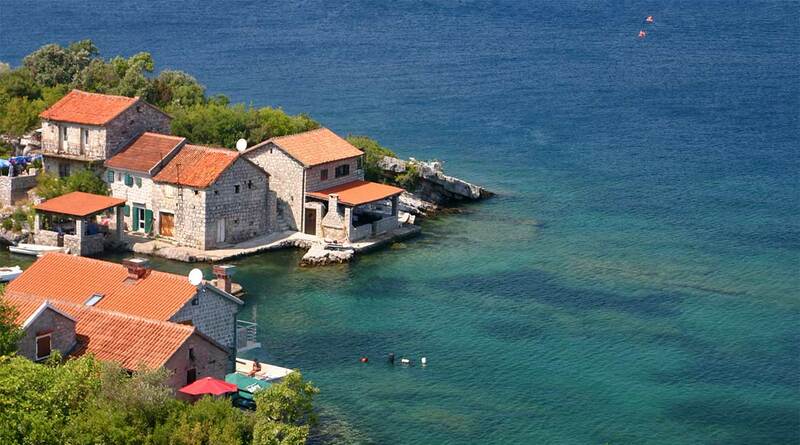 The biggest tourist center is Krašići with many houses and apartments for rent. The stunning views and scenery, clean seas, warm summers and relative isolation make Luštica an attractive tourist destination. In the past, the Lustica peninsula was a remote area with only a few small fishing villages. But with the tourist growth of recent years, the tourist potential of the peninsula was soon discovered. Due to the available beaches, space and the abundance of the olive trees, larger projects have been started as golf courses. The majority of the accommodation is located in the small coastal villages, of which some of the houses are holiday houses of the more favored Serbs, because Serbia itself does not have any access to the sea. Apartments Lustica – Surrounded by unspoilt nature and olive trees, Apartments Lustica is located in a peaceful area of Radovici. The property features air-conditioned apartments and studios as well as a spacious terrace with barbecue facilities. Free private parking is available on site. All accommodation units are fitted with a TV and an equipped kitchenette with a dining area. Some have a private balcony overlooking the sea. A private bathroom with shower is provided. 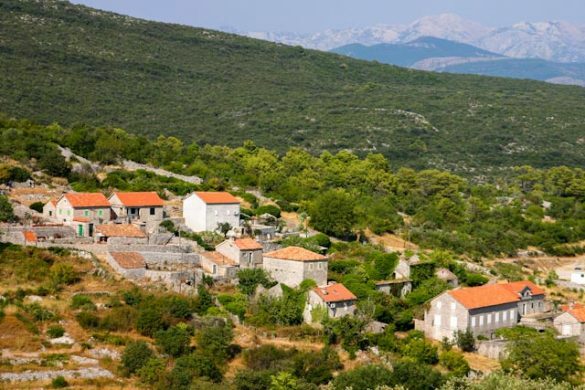 Numerous old monasteries, churches and historic monuments can be visited within 2 km from the Lustica. Rose Beach suitable for diving can be reached within 3 km. Bars, shops and restaurants are all within 4 km from the property. Facilities : Sun terrace, Garden, BBQ facilities, Swimming pool, Restaurant (buffet), Restaurant (à la carte), Snack bar, Shuttle service (additional charge), Free parking. Klinci Village Resort – Offering an outdoor pool, a restaurant, a bar and free private parking on site, Klinci Village Resort is located on the south side of Luštica Peninsula. Featuring a balcony with views of the hills, the pool and the sea, each unit at this property comes with air conditioning, and comprises a flat-screen TV with cable channels, as well as a DVD player. Guests can also find a fully equipped kitchen in each unit. Village Resort Klinci offers a shared lounge with a library, a garden, as well as a sea-view terrace with barbecue facilities. The Rose Beach is at the distance of 3 km, while Mirište and Zanjice Beach is 8 km away. Facilities : Outdoor fireplace, Picnic area, Outdoor furniture, Sun terrace, BBQ facilities (Additional charge), Garden, Swimming pool, Sun loungers or beach chairs, Massage (Additional charge), Pets allowed, Restaurant (à la carte), Restaurant (buffet), Breakfast in the room, Grocery deliveries (Additional charge), Room service, Bicycle rental (additional charge), Airport shuttle (additional charge), Car hire, Ironing service (Additional charge), Laundry (Additional charge). There are few roads and these are often narrow and can be busy in August. Mains water only makes it as far as Krašići and this supply is often turned off in the summer. The majority of houses rely on underground tanks supplied by rainwater and water tankers. The 3 phase electricity supply can be unreliable with frequent blackouts and missing phases. Babunci, Begovići, Eraci, Klinci, Krtoli, Krašići, Milovici, Miževići, Mrkovi, Radovići, Rose, Tići.